In the Christian life, balance can be difficult to achieve. Whether it’s reconciling God’s sovereignty and man’s responsibility, conceptualizing the divine and human natures of Christ, or trusting God without slipping into personal complacency, the one who finds balance finds a good thing. Similarly, the 21st-century church would do well to find balance in its worship of Christ. Survey the Christian landscape in North America and you often find churches leaning too heavily in one of two directions. Some churches are inclined towards truth, emphasizing doctrinal straightness, in-depth preaching and rigorous Bible study. These disciplines are good, but not enough. As A. W. Tozer said, “You can be straight as a gun barrel theologically, and as empty as one spiritually.” Conversely, other churches tend toward the emotive and affective. Careful Bible study and biblical, expository preaching are displaced by emotional impulses. Either of these overreaches can tilt the worship service in an unhealthy direction, hindering the growth of God’s people and leaving the worship service in want. Yet, what Christ has joined together—worship in spirit and truth—no man should separate. Rightly understood, biblical truth and heartfelt worship complement each other. Indeed, theology does inspire doxology. This balance is precisely what Jesus expressed in John 4 in his famous encounter with the woman at the well. At first glance, this lady looks ill-equipped to worship God. A Samaritan by birth and an adulteress by choice, she’s unlikely to be on the shortlist for any first-century church’s worship committee. 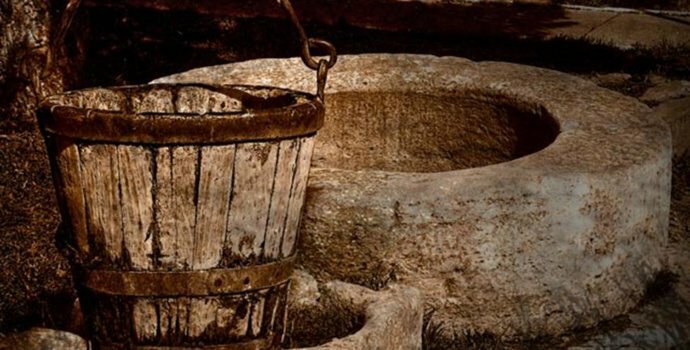 Though the Samaritan woman inquired of Jesus as to the proper location of worship, Jesus points her to the real components of worship, saying, “An hour is coming, and now is, when true worshipers will worship the Father in spirit and truth; for such people the Father seeks to be His worshipers. God is spirit and those who worship Him must worship in spirit and truth” (John 4:23–24). “In spirit” is a call to worship the Lord from one’s inner person, from the heart, so to speak. Though not necessarily emotional, such worship touches the emotion and impacts the affection. Having been converted and filled with the Holy Spirit does not ensure that one worships in spirit, but it does mean one is capable of worshiping in spirit. “In truth” means faithful worship is done in accordance with and in light of God’s revelation, his holy Word. The public reading of Scripture and the preaching of God’s Word bring the truth to bear on the gathered congregation, thus informing and inspiring worship. Like two wings on an aircraft, both spirit and truth are essential for biblical, Christ-honoring worship to occur. Worship is not a condiment, meant merely to flavor the Christian life. The worship of Christ is at the heart of the Christian life. As followers of Jesus Christ, we await the final worship scene, when for all eternity the redeemed will declare, “The kingdom of the world has become the kingdom of our Lord and of his Christ, and he shall reign forever and ever” (Revelation 11:15). In the meantime, let’s be found faithful to worship—in spirit and in truth—and to be about extending the number of redeemed, thus enhancing the worship of Christ for time and eternity. A. W. Tozer, Fellowship of the Burning Heart: A Collection of Sermons by A. W. Tozer (ed. James L. Snyder; Aluchua, FL: Bridge-Logos, 2006), 8.